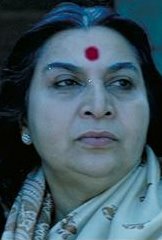 Shri Mataji: "But the Muslims do not want to talk about Resurrection at all"
Shri Mataji Nirmala Devi “But the Muslims do not want to talk about Resurrection at all because they want to frighten people with the Doomsday. They don't want to talk about the Resurrection Time which is going to come, which is the intermediary time (Al Qadr: The Night of Power), because they want to use the time (Al Qariah: Day of Noise and Clamor) which will frighten people by saying that: 'Now your Doomsday is coming! Now your Doomsday is coming!'" “They don't want to talk about the Resurrection Time which is going to come, which is the intermediary time (Al Qadr: The Night of Power)"
“because they want to use the time (Al Qariah: Day of Noise and Clamor) which will frighten people by saying that: 'Now your Doomsday is coming! Now your Doomsday is coming!'" Be forewarned, followers of sheikhs, imams, ayatollahs, amirs, caliphs, ulama, mu'ttilah, aalims, mujtahids, mullahs and muftis, be forewarned! These Thieves of Truth have deceived you. Again we say to you - be forewarned! So Peace during the present, ongoing Al-Qiyamah (Al Qadr, the Night of Power and Fate) until the Dawn of Doomsday (Al Qariah the Day of Noise and Clamour)! Shri Mataji “I met a Russian who asked Me why the U.N. was helping the Muslims in Bosnia.... I was shocked at his perception of Muslims. I have such respect for so many of them. I wish they could accept that this is not Jihad time anymore but Qiyamah Time, the Resurrection Time, the Blossom Time. Are they going to miss it? "The worst part is the practice of conversion. People are being converted from one religion to another not for faith but for non-religious reasons such as matrimony or monetary gain. Bitter fights are going on in different parts of the world between followers of different religions, all in the name of God Almighty! This cruel phenomenon is not understood by any saintly person. Groups of people claiming to profess the Islamic religion are in the forefront of these fights. The Sufis amongst the Islamic people tried to tell them that this is not the way to behave if you are a follower of Mohammed Sahib, because this brings a bad name to Mohammed Sahib and to Islam. There are some people who believe that Islam should be spread by Jihad. This was never the idea of Mohammed Sahib. At the time when He was here on this Earth, the people we facing a very difficult situation because there were lots of tribes, and these tribes were fighting and killing all the people who were taking to Islam. That was the time when it was alright to talk about Jihad, but today there is no such problem. Moreover by talking incessantly of Jihad, they are becoming very unpopular. Not only that, actually, they have achieved nothing. Shri Mataji is probably the first guru who has challenged the Muslims about their comprehension of the Quran. Few, if any, will take on this dangerous task that can bring serious repercussions, even fatal consequences. But that has not deterred Her from speaking out boldly against their blind faith and ignorance, as She has done to Jews, Christians, Hindus, Sikhs, Jains, Buddhists and others as well. Till the advent of Shri Mataji no one could explain the parables of the Holy Scriptures and enlighten humans with priceless knowledge. It is not possible to list them here as there are just too many. So i will just briefly discuss Her quote above that, in a nutshell, turns Islam on its dead. i was stunned the first time i realized that the Qur'n, without question, backed Her......... stunned because my eyes could hardly believe the verses irrefutably confirming that She was telling the Truth. Of all the chapters in the Qur'n, surah 75 Al-Qiyamah (The Resurrection) must have clearly confronted them with so frightening a prophecy and promise of Divine intervention to collect, promulgate, recite and explain in detail the only Surah entirely devoted to Al-Qiyamah, that it could only be explained away by vagueness, briefness, distortion, misinformation, untruth and outright deceit. But Allah (SWT) warned humans not to move"thy tongue concerning the (Resurrection), to make haste therewith "since" it is for Us to collect it and to promulgate it.”Then, after having announced it they were to follow "its recital". And last, but not the least, the Resurrection is "for Us to explain"- leaving absolutely no ambiguity as to Allah's (SWT) Intention. This is referred as the Great News or Great Event in the Qur'n and was to coincide with specific Sure Signs absolutely beyond human manipulation or duplication Thus it is obvious that the announcement and detailed narration of the Resurrection to the entire human race was Allah's (SWT) sole and explicit prerogative. Till date no Muslim has been able to refute Shri Mataji's declaration of the Resurrection at www.al-qiyamah.org where 300 pages of devastating evidence and punishing questions rip to pieces 14 centuries of Islamic understanding of Qiyamah, exposing a collective falsehood that turns Islam on its head. The only official Islamic defense has been collective censure. But for how long in this age of instant information can they effectively suppress it? Note: It is indeed sad that "Muslims do not want to talk about Resurrection at all.” Shri Mataji wished they did. i just want to say that "The SYs, leaders and WCASY also do not want to talk about Resurrection at all.” This is tantamount to a collective conspiracy against Shri Mataji and Her Divine Message. ...... Yet against all the odds and obstacles She has triumphed. Jai Shri Mataji!! !